Using a food processor, process the nuts and coconut to a coarse meal. Add the date paste, vanilla and salt and process until well combined. Press the dough evenly into a pie dish, working it up along the edges. Preheat your oven to 350 degrees. In a large bowl, whisk together the eggs and yolk with the honey. Then whisk in the coconut cream, lime juice and zest, and tapioca and mix well until very smooth. Pour the filling into the crust and bake in the preheated oven for 15 minutes. After 15 minutes, cover the top of the pie loosely with aluminum foil to prevent the crust from browning too much. Continue to bake another 10-15 minutes until just set (the center will still jiggle a bit) for a total of 25-30 minutes. Combine all the ingredients in a large heatproof bowl. Place the bowl over a small or medium-sized saucepan with 2 inches of simmering water in it. It’s important that the bottom of the bowl does not touch the water. Heat the mixture until it reaches 160°F (71°C) on a candy thermometer, whisking constantly so the eggs don’t curdle or seize. Remove from the heat and transfer the mixture to the bowl of a stand mixed fitted with a whisk attachment. Start whipping on low speed, gradually increasing to high over the course of 30 seconds. Continue to beat the mixture on high speed until stiff and completely cool. This could take up to 8 to 10 minutes. Spread over the top of the cooled pie, making sure to cover the entire surface. Use the back of a spoon to swirl and create peaks. Preheat your broiler. Place pie in the broiler for 30 seconds, watching carefully that it doesn’t over-brown. Remove from oven and let come to room temperature. Store in the refrigerator and serve cool. Anytime I mention to Scott that salad is on our menu, one of the first questions he asks is “What’s the protein?” So for last week’s cook-up I decided to whip up some delicious, sweet and savory Chinese Roast Pork, or Char Siu. 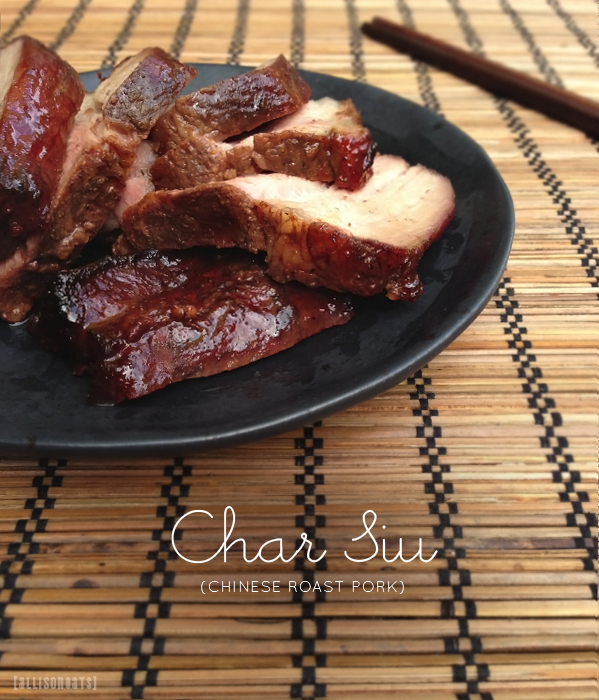 You may recognize Char Siu as the not-so-naturally red sliced pork, with the lip-smackingly sweet glaze on it. 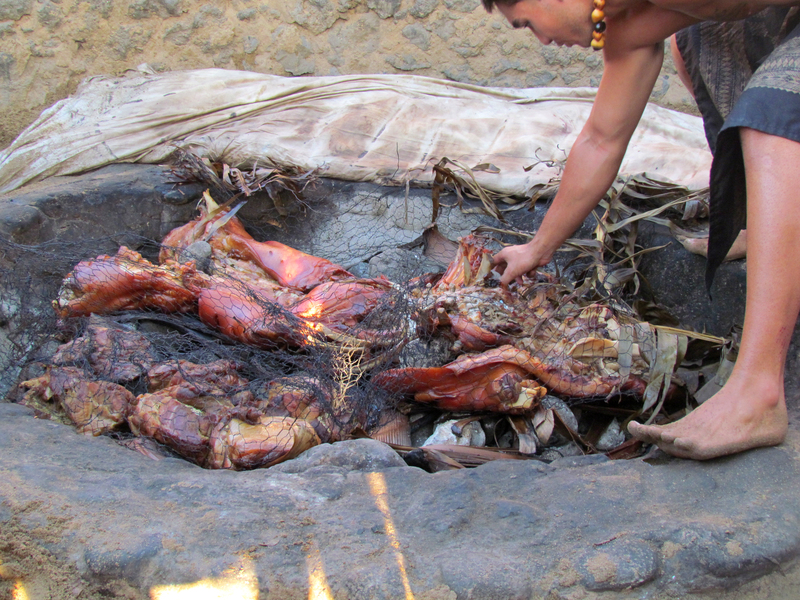 However, those are obviously the two elements that had to go when it came to making this dish primal. The red dye is easy enough to omit, and for the glaze I used some raw honey. The end result was a pretty darn good take on the traditional version! It re-heated really nicely, and was the perfect topper to our salads (which also contained cucumber, cherry tomatoes, avocado, scallion, peppers, and sometimes Kimchi–Yeah we kinda spanned from Japan to China with a stop in Korea on this one). Combine all the marinade ingredients (garlic through coconut aminos) together and pour into a large ziploc bag. 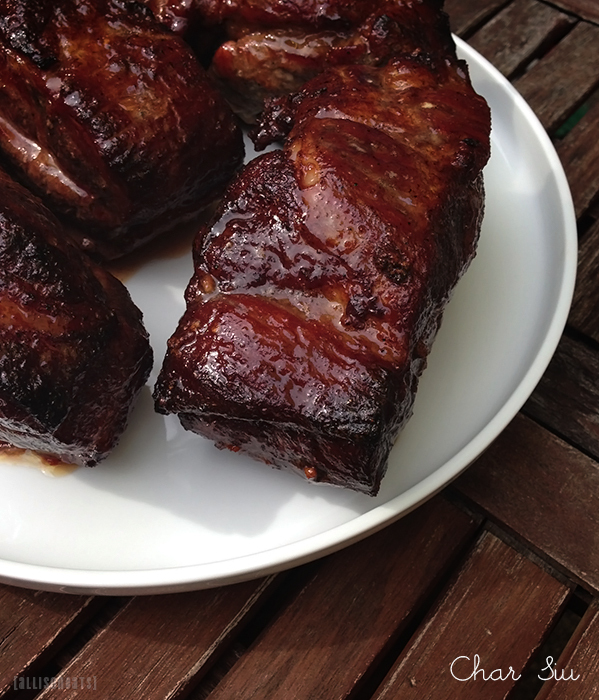 Pierce each strip of pork shoulder a few times with a fork, and place into the bag, making sure to coat all the meat. Marinate in the refrigerator overnight. When you’re ready to get cooking, heat your oven to 325° F. Cover a baking pan with aluminum foil and place a wire rack on top. Put the pork strips on top of the rack, and pour the remaining marinade into a small sauce pan. Roast the pork for 30 minutes, then flip the meat over and roast another 30 minutes, or until the internal temperature reaches 145° F.
While your pork is roasting, make the glaze. Add the 1/4 cup of raw honey to your reserved marinade and bring to a simmer. Let simmer for about 10 minutes, until it begins to reduce. Set aside. When your pork reaches 145°, crank up the heat to 400° F. Brush half of the glaze generously over the meat and roast for 5 minutes. Then give it another brush with remaining glaze and roast another 5 minutes, or until nicely browned the way you like it. A few weeks ago, I had a baking date with my friend Carissa to assist her in her foray into Macaron-making. This counts as my 4th attempt at this tricky little cookie, each to various degrees of success. 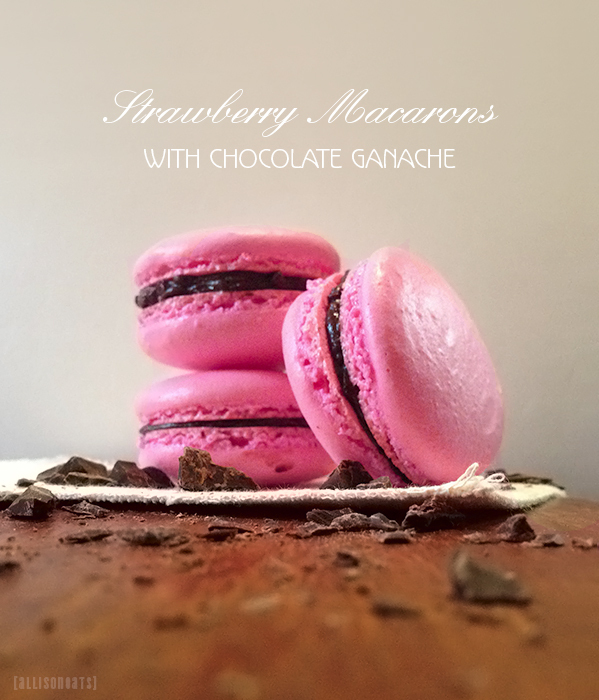 For this attempt, we started with the base recipe from I Love Macarons, which I attribute to my most successful outcome. We decided to make our shells strawberry flavored and a lovely shade of pink, and we each filled them with a different filling. 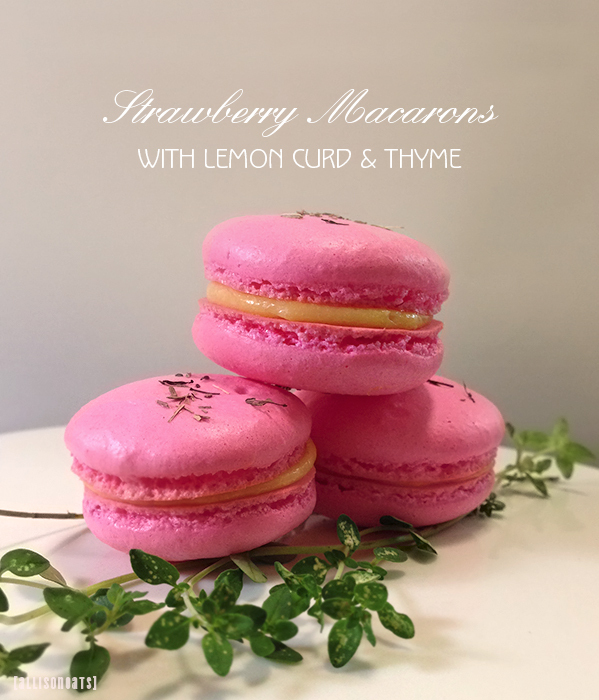 I whipped up some delicious lemon curd infused with a little fresh thyme from my tiny garden, and Carissa filled her macarons with a rich dark chocolate ganache. Despite this being my 4th go-around at macaron-making, this was such a learning experience! I don’t know if it was the nice weather, the fact that I had a co-baker with me, or just an uncharacteristic amount of patience I possessed that day, but as we baked each batch of shells, we really played around tweaking different elements to get just the right texture. Its actually pretty important to do this because of a few factors. First off, the climate does affect the way the shells bake, and they can be very sensitive to humidity. Secondly, everyone’s oven is going to vary slightly. Now, understandably if you do something during the macoronage stage that affects the texture of the shell, sometimes you’re just out of luck. Its a good rule of thumb to just remind yourself that its better to under-mix than to over-mix when folding your dry ingredients into the egg white mixture. However, not all hope is lost! Since you must bake your shells one tray at a time, you can do things like lower the temperature by 5 degrees but increase the cook time by a couple minutes. See how your next batch turns out, and adjust some more. We found this was they key to getting our macaron shells to go from browned but raw on the inside, to that perfect smooth and crisp shell with a chewy center! While we baked we frequently referred back to this amazing troubleshooting guide from Food Nouveau that I highly recommend!! Stack two baking sheets on top of one another, and line the top one with parchment paper. Have a pastry bag with a plain tip (about 1/2-inch, 2 cm) ready. Using a pencil, draw 1-inch circles approximately 1-inch apart on your parchment paper. Or you can do as we did, and print out one of these handy templates from Food Nouveau! Just be sure to slide the templates out from under your parchment after you pipe your batter! In a food processor, blend the almond flour and powdered sugar until well incorporated. In a stainless-steel bowl of an electric mixer, beat eggs whites on high speed until they are foamy. Gradually add the granulated sugar, strawberry extract and your food coloring (just a little teeny bit at a time until you’ve reached the desired shade) to the egg whites and continue to beat until it forms a stiff meringue. Using a rubber spatula, carefully fold the almond flour/powdered sugar mixture into the meringue in a couple additions. Blend by scopping batter up from the bottom and pressing it against the sides of the bowl. Do this a few times until well incorporated. Fill pastry bag with the batter and carefully dispense into your drawn circles. Once the tray is filled, rap the baking sheet on the counter to help settle the batter. Top your shells with a sprinkle of dried thyme if you’re filling them with the lemon curd. Let tray sit out at room temperature for 15 minutes so that a slight crust forms on each shell. Bake at 325 F for 10-13 minutes (yes, you will put the stacked trays in the oven together), until the shells are slightly crisp on top. They should not be browned. Allow to cool before removing from the trays. Repeat, one batch at a time until you’ve used up the batter. Again, refer to the troubleshooting guide if your first batch isn’t turning out properly – there may be something you can adjust! Place the chopped chocolate in a large bowl. Warm the cream in a small saucepan over medium heat until it just starts to boil. Stir it into the chocolate without creating bubbles. Let sit for 1 minute. Add the butter and stir until smooth. Chill in the refrigerator until thickened but still spreadable, about 30 minutes. Remove top of double boiler from simmering water, and add butter and salt, whisking until butter is melted. Strain through a fine-mesh sieve to achieve a smooth texture and remove the pieces of thyme. Place plastic wrap directly on warm curd (to prevent a film from forming), and chill 8 hours. Pair your cooled macaron shells into like sizes. Fill a piping bag fitted with a wide, round tip with the filling of your choice, or you can just spread your filling carefully using a dull knife or spoon. Carefully pipe/spread filling onto the flat side of one shell, leaving about 3mm space from the edges. Pick up your filled shell and its empty pair, and place them together, gently twisting as you press. Store your macarons in the refrigerator. Enjoy!! Well, its been a crazy and incredible few weeks over here. 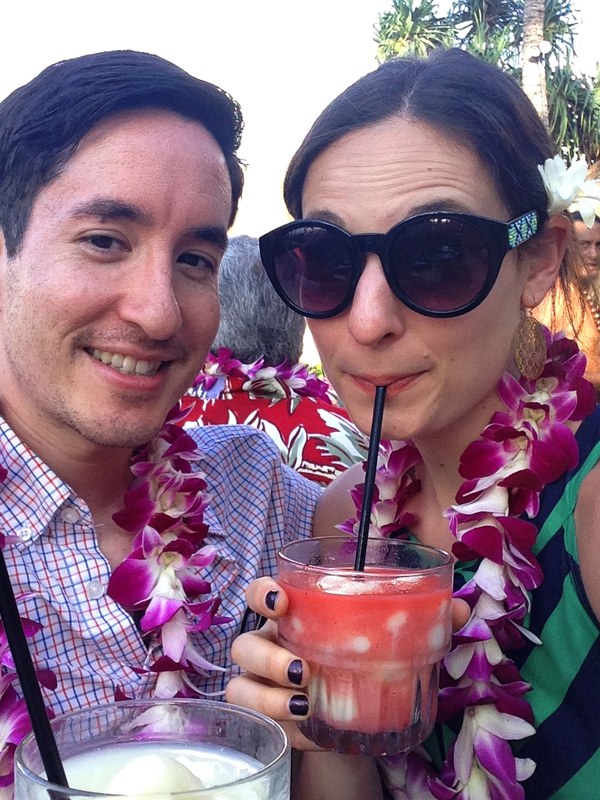 Scott and I got married and spent an amazing week and a half in Maui; honeymooning, sunning ourselves, going on crazy roadtrips, and eating all the delicious treats the island had to offer! 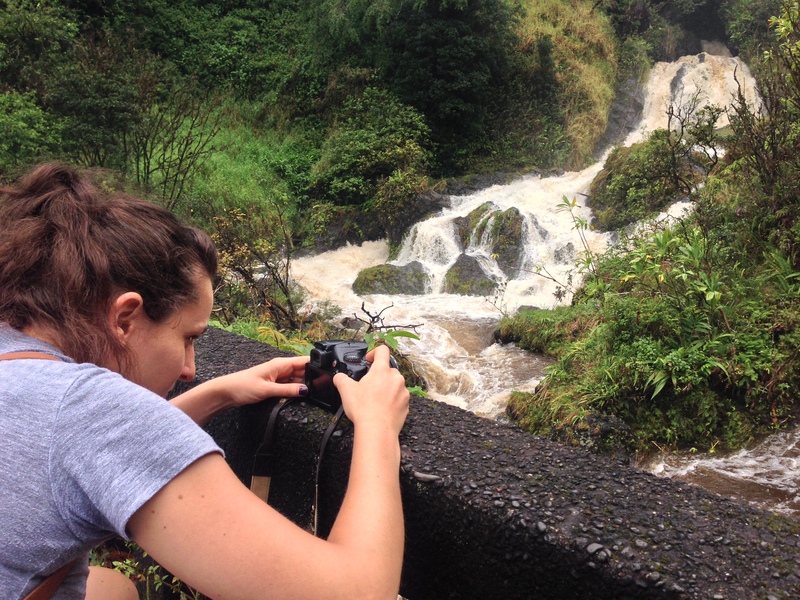 Explaining how amazing Maui is would require a very lengthy post, but I can say I highly recommend going. Its an absolutely incredible place to be, with so much to see and do, and a great overall vibe. 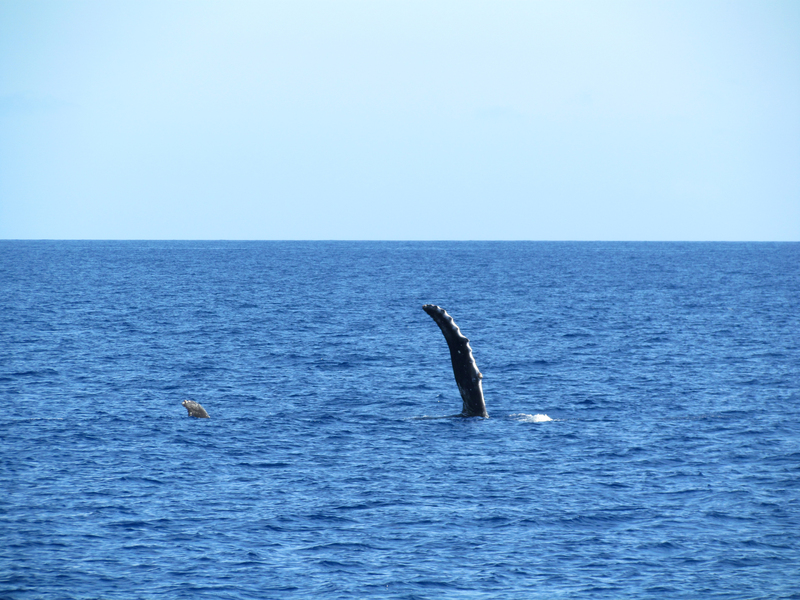 Its not as bustling as Oahu, so if you want a more relaxed trip I’d point you straight in the direction of Maui! Below are a few shots with some highlights! Moco Loco! 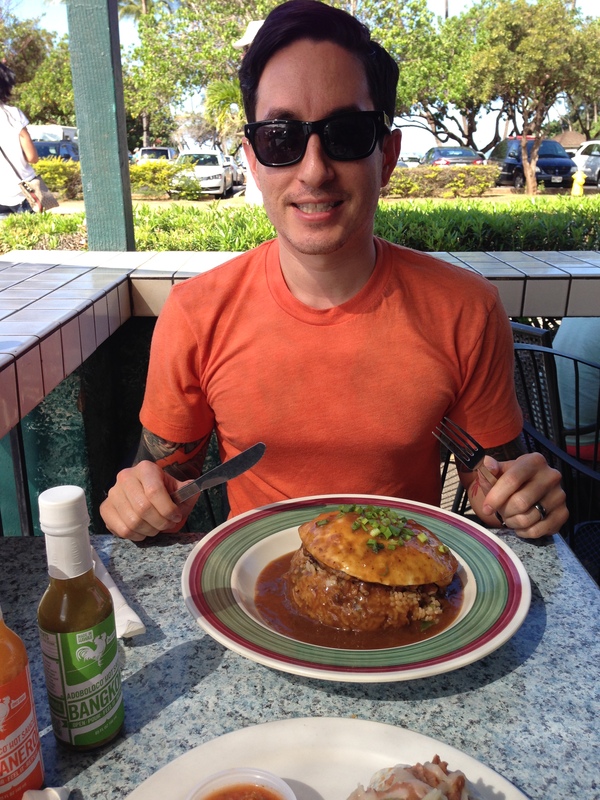 A local breakfast favorite consisting of rice topped with a burger patty, fried egg and gravy. Fried Spam Musubi – yummier than it sounds! So after all that excitement, we’re trying to readjust to normal daily life again, and to top it all off, this morning I officially turned 30. So of course, I had a sweet recipe up my sleeve just for the occasion. 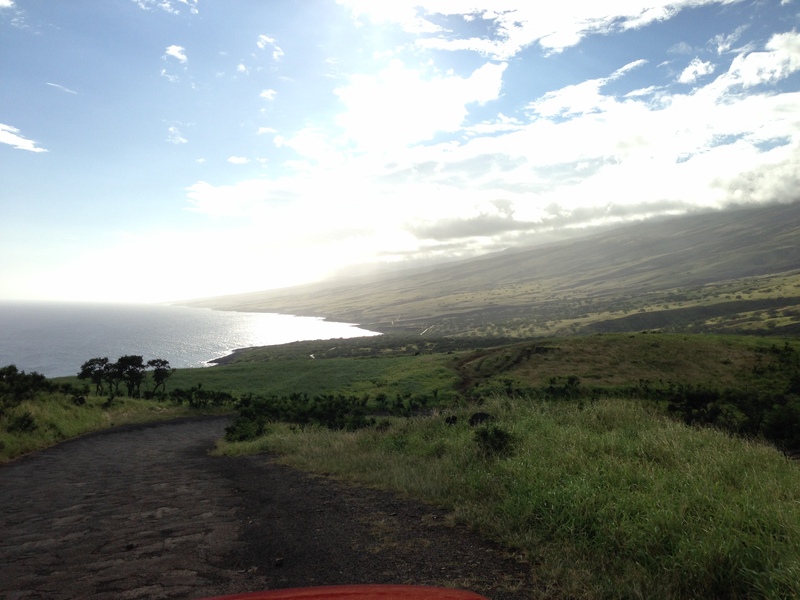 While we were in Hawaii, one of my favorite things to enjoy were macadamia nuts. Seriously, they are in everything from tacos to ice cream, and I was in heaven. I’ve been on a mac nut kick for awhile now so I was prepared to hoard as many nuts home as I could! However, I shared said treats with my coworkers and have continued munching on them since getting back to the mainland, so I’ve already had to go out to Nuts To You and buy a whole new bag full! The reason being of course, that I knew this year’s birthday treat was going to star mac nuts. 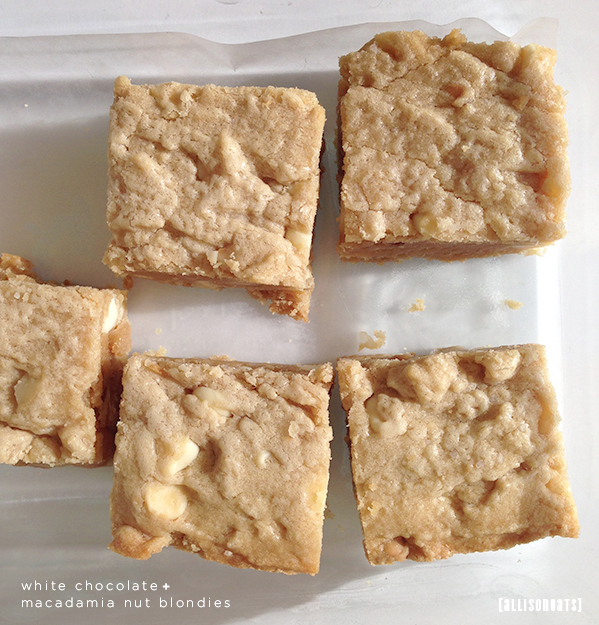 These blondies are decadent! They’re moist, chewy, and super sweet, with an almost butterscotch flavor. They’re also really easy to whip up! I used a recipe from Emeril Lagasse and made just a few small tweaks. I ran out of vanilla extract so I decided to supplement with some hazelnut extract. A I knew I had to add some salt to the mix, because the original recipe didn’t include any, but I’m a huge fan of a little salty with my sweet. Other than that I stuck to the base recipe. However, this could be easily modified using other nut and chocolate combinations. Preheat the oven to 350 degrees F. Line a 9×13 inch baking pan with 2 pieces of criss-crossed aluminum foil and grease with butter. In the bowl of an electric mixer, beat the butter and brown sugar on medium speed until fluffy. With the mixer running on slow, add the eggs and the extracts, mixing to combine. In a separate bowl, combine the flour, baking powder, and salt. Then slowly add it into the wet ingredients, with the mixer on the lowest setting. 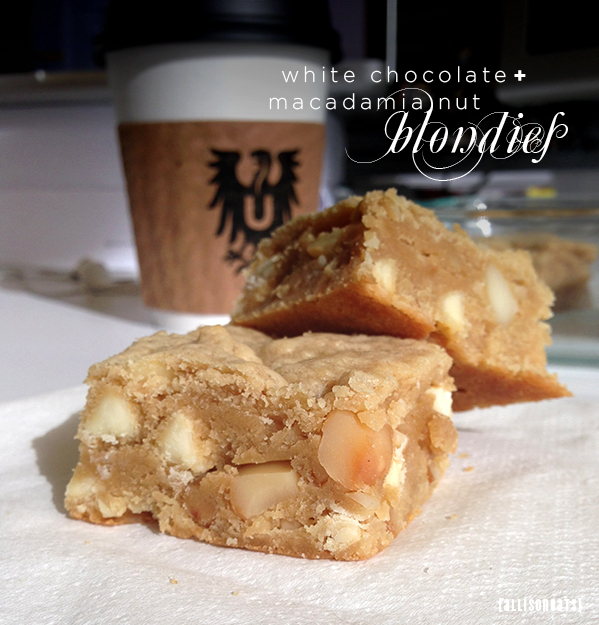 Once incorporated, slowly add in the white chocolate and nuts a little at a time. Spread the dough into the prepared baking dish, top with an extra sprinkle of salt if desired, and bake for 25-30 minutes, until the blondies are set in the middle. Once they’re cool enough, you can lift them out of the pan by holding the aluminum foil, but allow to cool completely before slicing. Enjoy your treats— I know I have (for dinner last night, and breakfast this morning)! 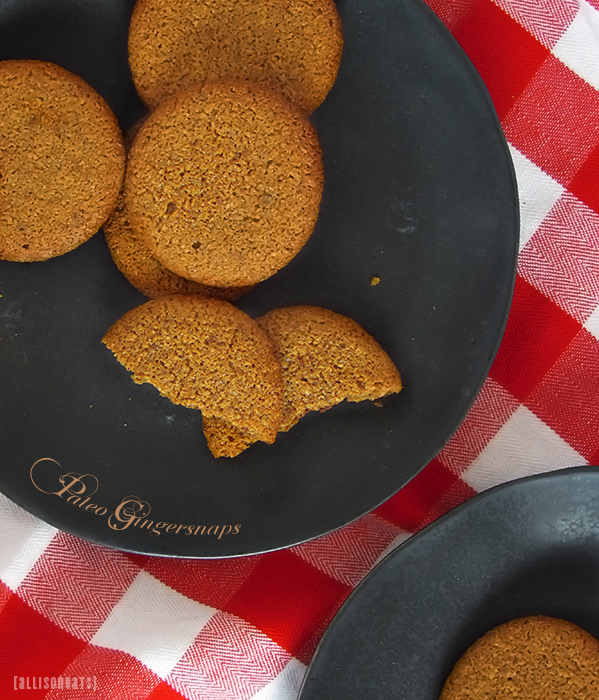 Last month, I made these incredible Paleo Gingersnaps from a recipe on Primal Palate. But, due to being caught up with all sorts of fun and time-consuming wedding stuff in the past month or so (we are down to 18 days people! ), I am just getting around to posting about it. My apologies on the delay, but these cookies are worth the wait! I think these cookies are actually the most successful Paleo dessert I’ve made yet, in the sense that the taste and texture are 100% non-Paleo (crisp on the outside and perfectly caramelized/chewy on the inside). Believe me, I love all the treats I’ve concocted by using healthy substitutions, but I usually feel the need to preemptively alert the people I’m sharing with that they are Paleo, gluten-free, sugar-free, etc, just to adjust their expectations. These puppies are the real deal, and that can be a dangerous thing! Sure, they include “safe” ingredients, but realistically we cave-folk aren’t supposed to be giving in to our sweet tooth, regardless of whether we’re using evil white sugar or all natural raw honey. So, I challenge you to consume these spiced delights in moderation! Preheat oven to 350°F. In a sauce pan, bring the molasses to a boil. Add the maple syrup, butter, and coconut milk to sauce pan, and stir to combine. Remove from heat. In a medium bowl, combine all the dry ingredients. Pour in the molasses mixture and stir until well combined. Refrigerate the dough for 20 minutes. Roll out dough between two sheets of parchment paper, until about 1/4 inch thick. Using a 1.5-inch round cookie cutter (or if you prefer, use a fun shape or make gingerbread men! ), cut out your cookies and arrange them on a parchment-lined cookie sheet, about 2 inches apart. This is a sticky dough, which can make it hard to cleanly remove each one from the cookie cutter – so what I did was periodically wipe off the cutter and grease it with some coconut oil. This helped the cookies stay beautifully round and in tact. Once you have 2 cookie sheets filled up, pop them in the oven for 10 minutes, and put the rest of your dough back in the refrigerator to stay cool. Remove baked cookies from the oven and let cool for 2-5 minutes before transferring them to wire racks to cool completely. Continue cutting out and baking the rest of your cookies. If anyone else out there lives in Philly, you may have heard rave reviews of, or had the pleasure of enjoying, the Dan Dan Noodles at Han Dynasty. If you haven’t, I will try describing this dish to you, however my words will just not do it justice. 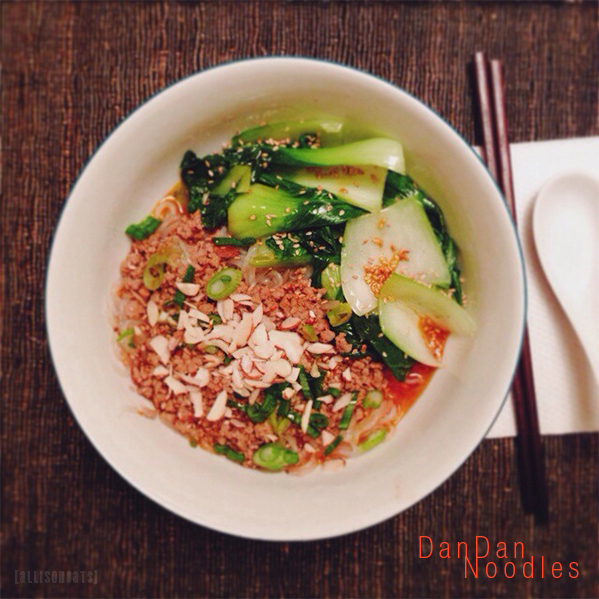 Dan Dan noodles are a Szechuan delight. A peanuty, porky, spicy bowl of awesome. The heat, made from two kinds of Szechuan peppercorn, is like nothing you’ve had before. The red peppercorn gives the dish a slight floral taste, with a more typical up front spice-factor. However, the green peppercorn creates less of an in-your-face, tear-inducing kick, and feels more like a diluted Novocain shot to the taste buds. So, once you take a pause from slurping down the delicious savory noodles, its as if your salivary glands have all sprung a leak. Its terrific and tingly, and you’ll want to keep going back for more. Scott and I are, like many, huge fans of Han Dynasty. However, in keeping mostly Paleo, we reserve it for the rare occasion. So when we set out to create our own Dan Dan Noodles this weekend, we decided to make a few easy swaps to a great recipe from Lady and Pups, and make our noodles more diet-friendly. The result was great! One issue we ran into was that we couldn’t find the green Szechuan peppercorn, so we used regular green peppercorn instead. However, I will list the Szechuan variety in our recipe so that, should you have more luck than we did, you get the full effect of the spice. Another slight issue was the inclusion of douban chili bean paste; A paste made from broad beans, soy and chili, which is somewhat of a departure for us because we typically avoid soy and beans. However, with only a few tablespoons of the stuff and the fact that it is fermented (fermented legumes are a little more acceptable in the Paleo diet), we made an exception. You may be able to find a better brand of the stuff than we did, as I have read there are some varieties that don’t use soy at all. Aside from the two small issues above, the “Paleoification” of this recipe was a breeze. We used yam noodles as a base (if you haven’t tried these, get on it! They can be found in the refrigerated produce section of the Asian supermarket), swapped almond butter for peanut, coconut aminos for soy sauce, and used light olive oil instead of vegetable oil. Make the chili oil (you can do this ahead of time). Combine olive oil, scallion, ginger, garlic, star anise, cinnamon, green peppercorn and red peppercorn in a small sauce pan. Set over medium heat and fry ingredients until the garlic and scallion are slightly browned. Add the chili flakes, ground coriander and cumin. Let simmer another minute, then turn off the heat and set it aside to allow the flavors to steep. The longer it sits, the spicier it’ll be! You can also make the sauce paste ahead of time. In a food processor, combine the garlic, ginger, douban paste, almond butter, and ground peppercorn. Blend until it forms a smooth paste. Set aside. Heat 1 tbsp olive oil in a stock pot or deep skillet over medium-high heat. Add the ground pork, coconut aminos and sesame oil, and cook until the meat has browned slightly. Add the sauce paste and cook, while stirring, until its fragrant and browned a bit more. Add the rice wine and chicken stock to deglaze the pan and let come to a simmer. Add the white pepper and cook 5 more minutes. Rinse the yam noodles and divide into two bowls. Heat them up in the microwave for 2 minutes or so, then divide the sauce evenly over the noodles. Top with sliced almonds and scallions, and a drizzle or two of the chili oil to taste. I also served mine with sautéed bok choy just to add some extra veg! Hey folks! My sincere apologies for the long hiatus. I hope everyone had a wonderful holiday season and sparkly New Years, and that you are, like me, maybe finally getting back into the normal(ish) swing of things! Kicking off the new year, the clock has been ticking away as my March wedding fast approaches! Naturally, that means I’ve been trying my darndest to make smart food choices and stay true to a mostly Paleo way of life. This means, while I have made allowances for occasions like my bachelorette party and Scott’s birthday, on a regular daily basis, I’m grain, legume, sugar, and dairy-free. Even last year both Scott and I leaned more “Lacto-Paleo,” but I find I feel my best when I stay away from the stuff all together. That means no cheese on my salads, no cream in my coffee. And I’m really okay with it! So speaking of dairy, one thing I tried this year with much success, was making my own almond milk. While I used to keep the stuff around as a staple for daily smoothies, I’ve switched to mostly eating eggs and fresh juice in the morning. However, I still enjoy a smoothie or two on the weekends as a pre-workout boost. Since I don’t go through a carton as fast as I used to, making my own unsweetened almond milk was great, because I wasn’t left with a lot sitting in the fridge for weeks on end. Its also nice knowing that after such a simple process, theres such a great reward in the form of healthy and additive-free milk. All you need are almonds, water, and either a juicer or a food processor and cheesecloth! Soak the almonds overnight in about 6 cups of water. This is called “sprouting” the nuts. Sprouting nuts helps remove the enzyme inhibitors, activating and multiplying more of their nutrients! Add rinsed almonds to a bowl and add 6 cups of water (if you want to make different amounts or different types of nut milk, the key is always use a 1 to 3 ratio of nuts to water). If using a juicer, just begin spooning the nuts and water through your juicer and watch the magic happen! If using a food processor, blend the nuts and water until the nuts are finely ground and the water has turned a milky color. If you used a food processor, transfer the mixture into your nut milk bag or cheesecloth that’s been folded over 3-4 times. Strain all the milk out of the nut mixture. Whichever process you’re using, you can keep your almond pulp! Either mix it with a few other ingredients like date paste, coconut, vanilla and other spices and make some raw cookies, or dry it in the oven at 200 degrees to make yourself some almond flour! If you’d like, add a teaspoon of vanilla to flavor your milk. 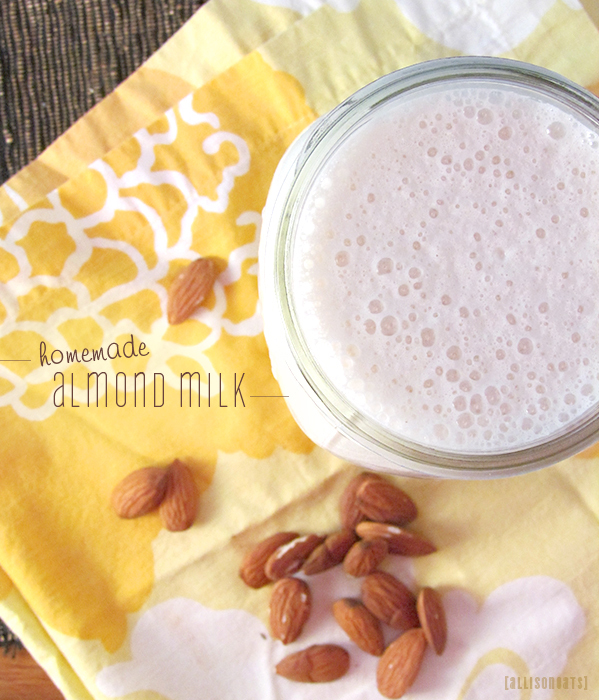 Your fresh almond milk will keep in the refrigerator in a mason jar for about 1 week. Enjoy! As I start working from home until baby boy decides to make his debut, I’m thankful for friends and family who’ve showered me with flowers over the last few days. Open windows and fresh blooms giving me those springtime vibes. Happy (Pre)Easter! The Easter Bunny came early this year because #dillygenebean was extra good (and because Baby Bro could come any day now 😬)! Great end to a great birthday with these weird dudes 💗 #dillygenebean @botdeluxe Thanks for making my day delightful and delicious!